Amani provides a safe and loving home, nutritious meals, and medical care to homeless children, who arrive at Amani malnourished from living on the streets. Amani provides a safe and loving home, nutritious meals, and medical care to homeless children. Amani’s trained caregivers make sure that each child rescued from the streets is given love and attention as well as important life skills, restoring hope to their lives. Many children arrive at Amani malnourished from living on the streets. The children receive three healthy meals a day. With good, nutritious food, they quickly become healthy and active. 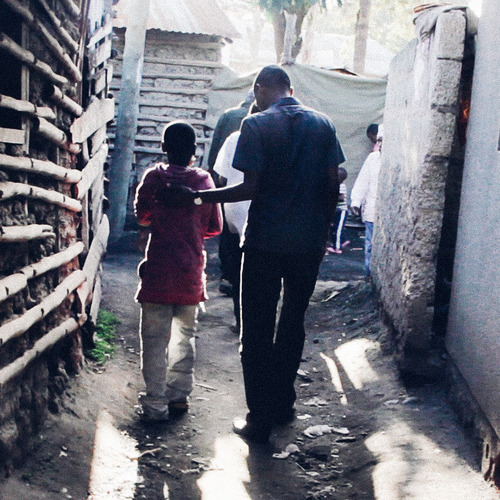 Medical care is an important service that Amani provides to the children. Amani has a full time nurse who cares for all the children’s medical needs, from bandaging scrapes and bruises to treating more serious illnesses like malaria, TB and HIV. She gives weekly health lessons to the children on topics such as personal hygiene, STDs and nutrition. There’s a real family atmosphere at Amani, with the older children taking care of the younger ones. Amani caregivers have created a cheerful, happy place that warmly welcomes children who have faced many hardships in their lives. "We are open, we share ideas, and we encourage each other for the sake of developing Amani and helping the children"